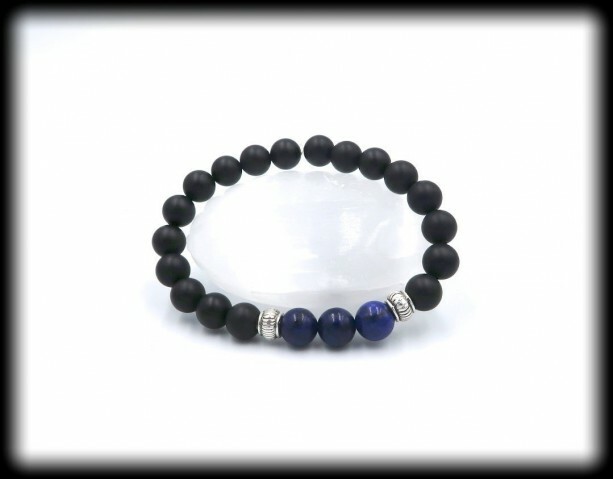 Bring honesty and make wise decisions with this Matte design! 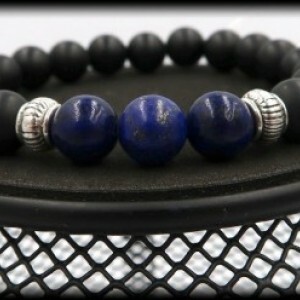 Black Onyx facilitates being the master of your own destiny, promotes vigor, and helps with accessing a higher guidance. It also helps one to make wise decisions, and absorbs energies from the universe to aid in healing. 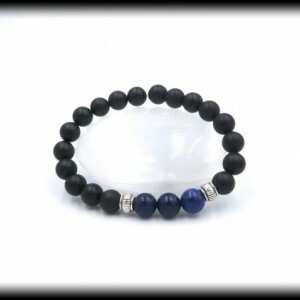 It also provides support in times of mental or physical stress. 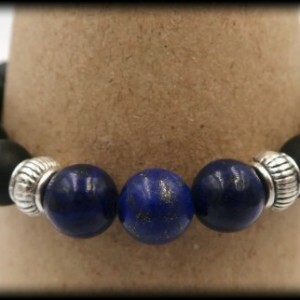 Release stress and stimulate your enlightenment with Lapis Lazuli. 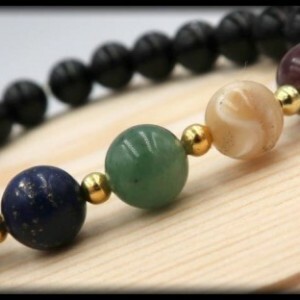 It encourages taking charge of life, reveals inner truth, encourages self-awareness, and promotes self-expression. 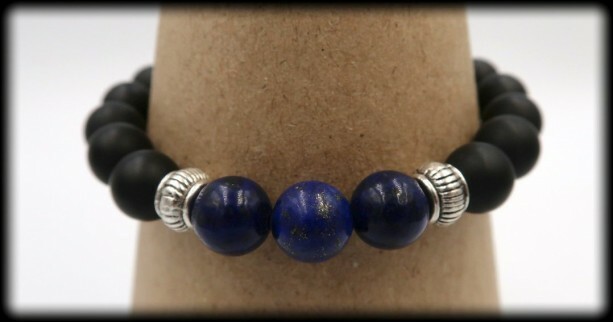 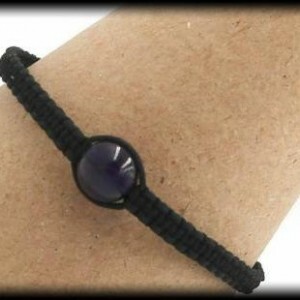 This stylish piece is handcrafted with 8mm beads of Lapis Lazuli and Matte Black Onyx.